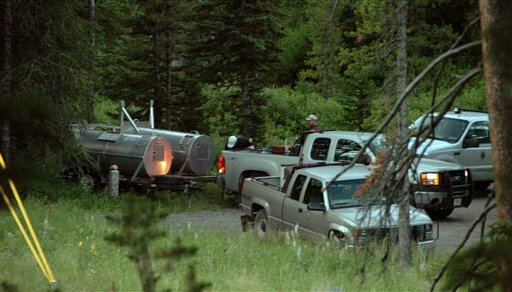 One man was killed and a man and a woman were injured afterbeing eaten by bears in attacks in the middle of the night on Wednesday at a popular campground on the edge of Yellowstone Park, Montana in late July 2010. Montana Fish, Wildlife and Parks Department spokesman Ron Aasheim said it was believed one bear was involved and at least two tents were left in tatters in the attack, which occurred at the height of the tourist season. 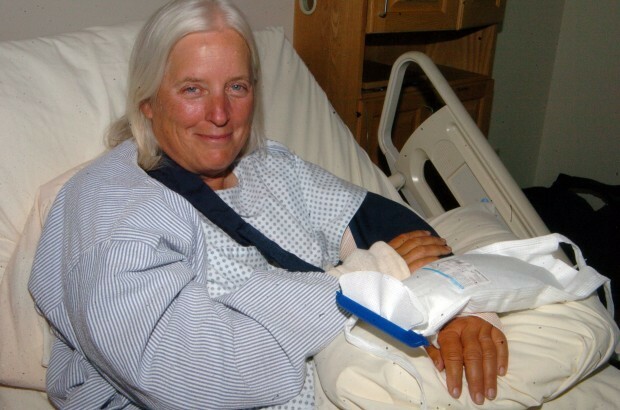 "I thought I would be dinner," said Deb Freele, 58, of London, Ontario, who recalled awakening from in her tent to find a bear chewing on her arm. "Within hundredths of seconds, I felt the teeth in my arm, heard bones breaking. I screamed and that seemed to aggravate him. He sunk his teeth into me again," she recounted in a telephone interview from her hospital room in Cody, Wyoming. “I had a sense that something wasn’t right, but I hadn’t heard anything. I had just woken up and felt a bit of pressure on the tent, and he closed his jaws right down on my arm. Then I screamed. Then he bit harder and I screamed more,” Freele said from her hospital bed. “It was a brutal attack. It wasn’t like, ‘Oops, I made a mistake brewing beer.’ He was out to get me and the other people,” Freele said. She described the bear’s attack as silent and methodical, giving her the feeling that she was being hunted. “It hurt. I can’t describe the pain. I couldn’t control the screaming, and I knew what was happening. I thought I was dead, and couldn’t believe it was happening. I thought, ‘This doesn’t compute, it just doesn’t jive, with what I understand about bears,’” she said. Here's a picture of the 'mother' bear that was caught with some others that were believed to have been the people eaters. 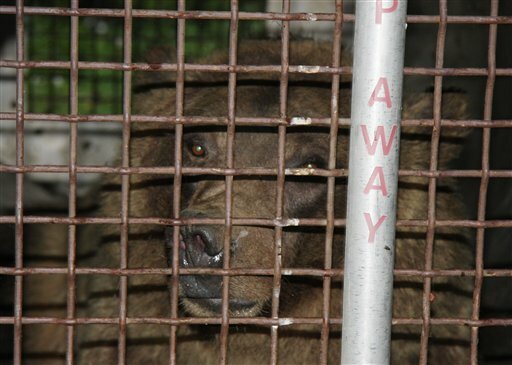 The fate of this bear was to be put down after it was determined after DNA tests confirmed it was the responsible bear. This was done using hair, saliva and tissue samples. Her three cups would be sent to a local zoo. Soda Butte, which offers 27 campsites in a national forest known for its blue-ribbon trout fishing, was immediately evacuated and nearby campgrounds were closed after Wednesday's attacks. Tony Latham, a retired conservation officer who has investigated previous bear maulings in the region, said predatory attacks on people are unusual, especially if fatal. "In my 22 years as an officer in Idaho, there was only one predatory attack, and the person got away by getting into a river," he said. "I don't believe there was ever anyone killed in Idaho by a caustic bear in those 22 years."